Thank you, thank you, thank you for all the kind words and compliments on last week's townhome reveal. I was so honored to also see it featured on Apartment Therapy. You can see the post here. I've always loved this look too! I love a good bookshelf too! How could people rip them out?! The art is a nice touch, I wish I had that many books to fill one! This is one of my favorite looks...so unexpected from the typical bookshelf styling!! Loving all your inspiration pictures! Absolutely adore this idea! So fab & chic! I love love love this trend! 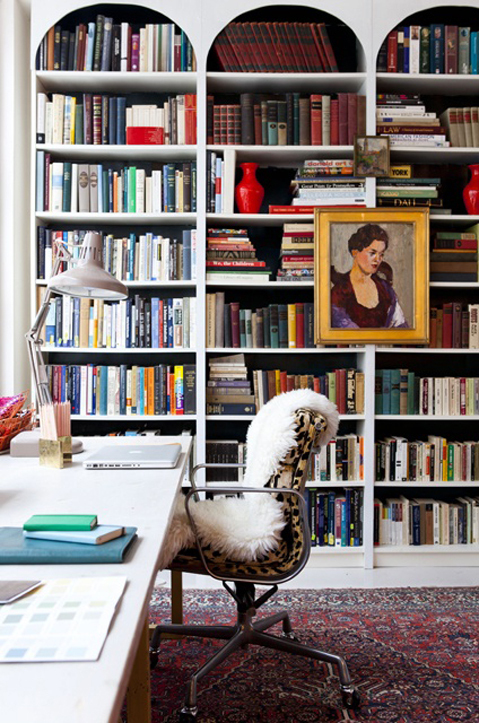 i agree I love love love layering art on book shelves! so cute! I'm so glad you posted this. I just hung a mirror over my builtins and was kind of iffy...this is giving me some more inspiration!